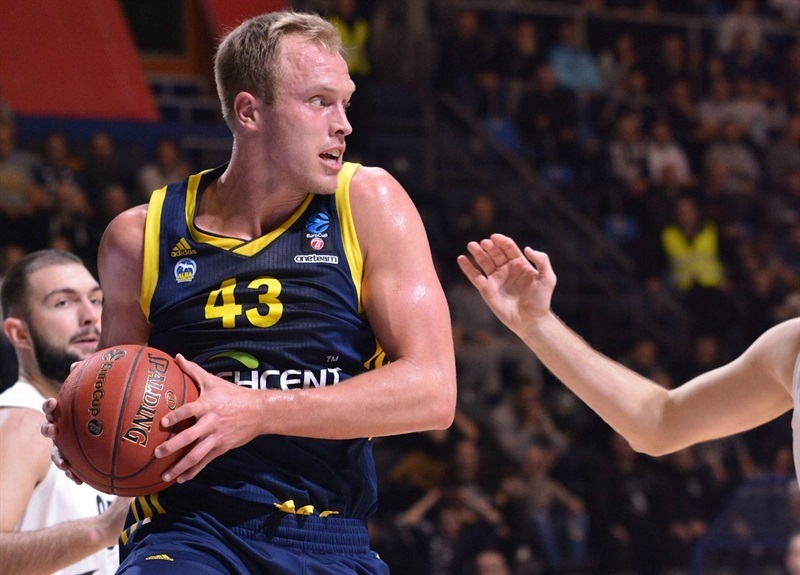 ALBA Berlin improved to 5-1 and took a decisive step toward qualifying for the Top 16 by downing Partizan NIS Belgrade 80-96 in the Serbian capital on Wednesday. 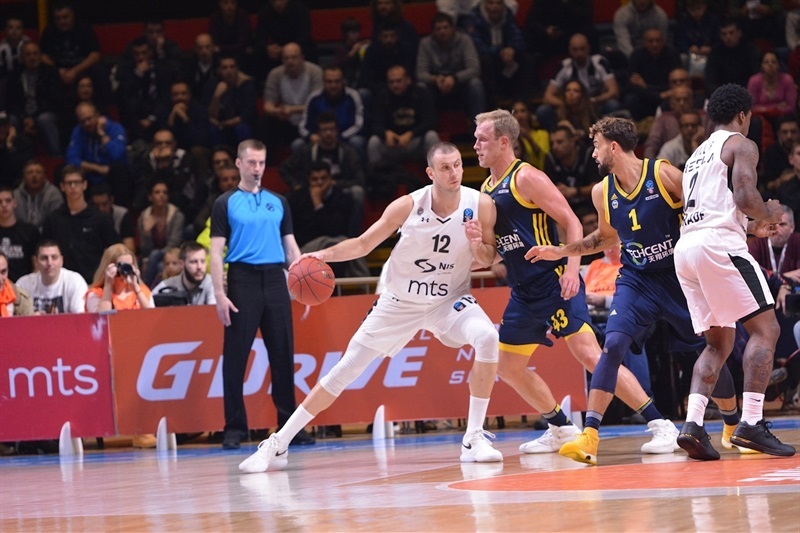 ALBA grabbed its fourth consecutive win in Group C, while Partizan dropped to 1-5. 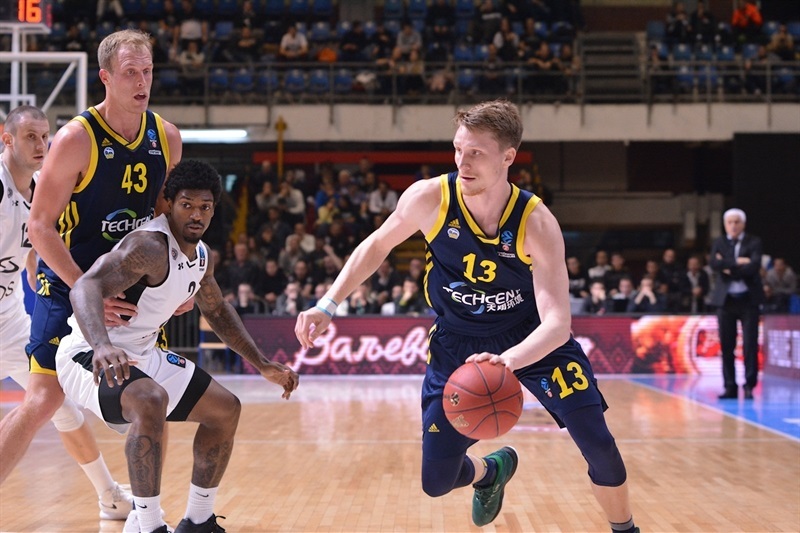 Spencer Butterfield and Marius Grigonis led the winners with 20 points apiece, Dennis Clifford and Luke Sikma each scored 14 and Peyton Siva 13 for ALBA. 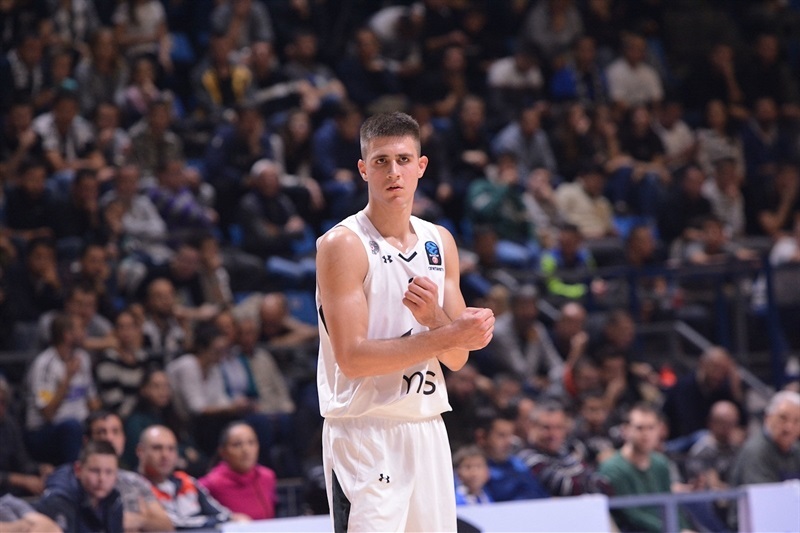 Vanja Marinkovic led Partizan with 18 points, Patrick Miller added 16 and Novica Velickovic 10 for the hosts. Sikma shined early to give ALBA an 8-12 lead. 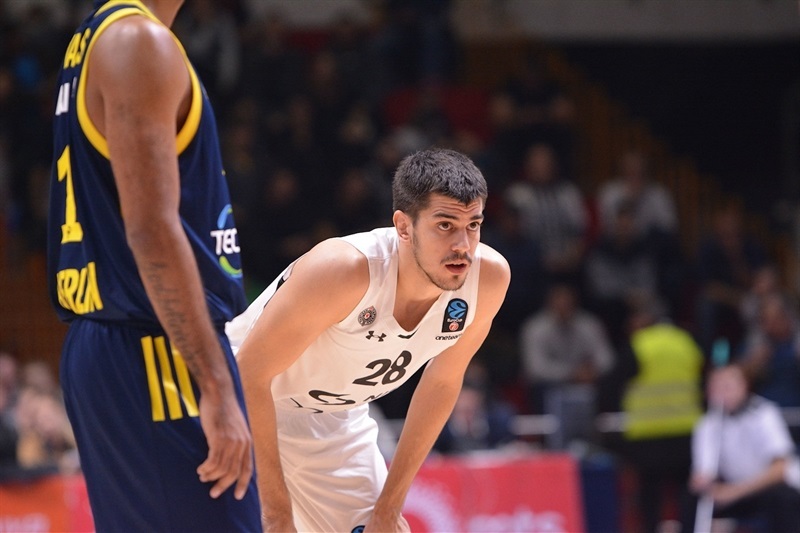 Samardo Samuels and Marinkovic stepped up for Partizan, but Stefan Peno kept the visitors ahead, 19-21, after 10 minutes. Grigonis shined early in the second quarter and got plenty of help from Clifford and Butterfield to give the visitors a 40-54 halftime lead. Butterfield had 11 points of his 20 points right after the break to boost his team's cushion to 45-68. Nothing changed from that moment as ALBA kept full control of the game until the final buzzer. Sikma got ALBA going with a jump hook and a jumper, but three-pointers by Marinkovic and Mihailo Andric gave Partizan a 6-4 lead. A dunk off a steal by Siva highlighted a 0-6 ALBA run and a jumper by Butterfield kept the visitors ahead, 8-12. 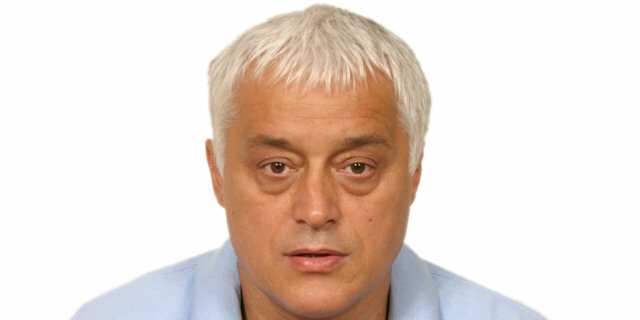 Samuels and Marinkovic combined for all the points in a 7-0 Partizan run. Grigonis struck from downtown and Peno followed a floater with a driving layup to restore a 19-21 ALBA edge after 10 minutes. 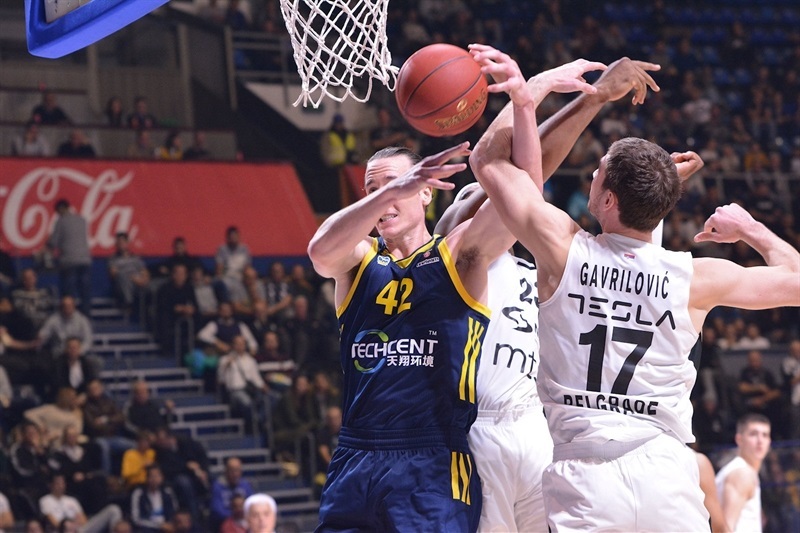 Bogdan Radosavljevic scored down low early in the second quarter and Grigonis followed a triple with a driving layup for a 23-28 ALBA edge. Joshiko Saibou hit a floater off the baseline and back-to-back three-pointers by Grigonis and Peno made it a double-digit game, 26-36. 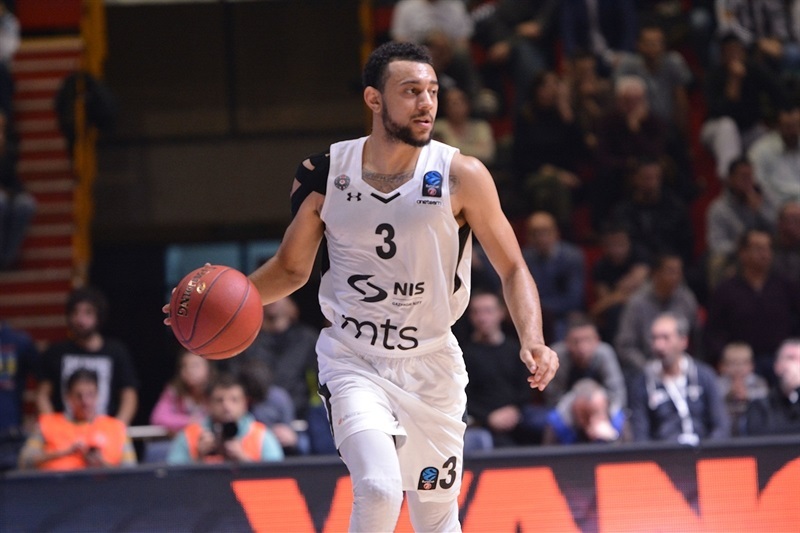 Marinkovic and Velickovic stepped up for Partizan and a layup by Nigel Williams-Goss brought the hosts within 35-40. ALBA found a new go-to guy in Clifford, who had 10 points in the final four minutes of the first half and got help from Butterfield to boost the guests' margin to 40-54 at halftime. Butterfield and Sikma each struck from downtown right after the break. Marko Pecarski scored down low, but an unstoppable Butterfield added 6 points that broke the game open, 45-68. Pecarski kept pushing Partizan with a triple and got help from Miller and Djoko Salic to bring the hosts within 58-69. 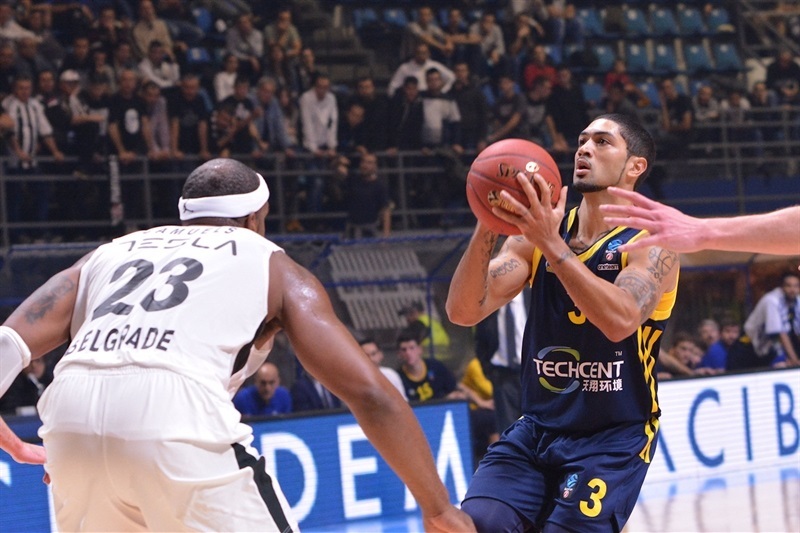 Free throws by Siva and a dunk by Tim Schneider gave ALBA a 58-73 margin after 30 minutes. Clifford and Sikma took over early in the fourth quarter to keep the visitors way ahead, 66-81, midway through the fourth quarter. Nothing changed from that moment, as ALBA sealed the outcome long before the final buzzer. "Tiredness caught up with us. Tonight we were not recognizable. You would think that we found our rhythm and we would get better, but tonight nothing worked. This is the worst defense we ever played. It's difficult to expect something in Europe if we continue down this path." 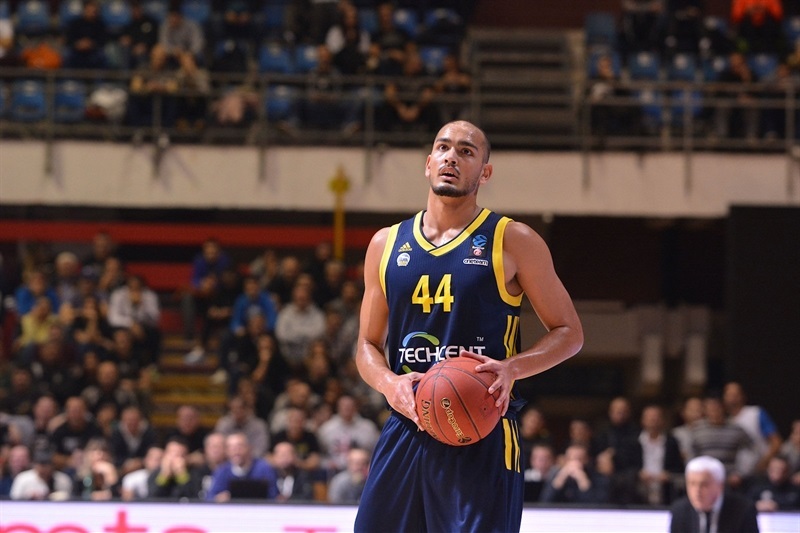 "I think out first game [against Partizan] was better for us - and for them too, because we beat them with very good intensity in the second half. Today, we didn't have this intensity. I think we played better in Berlin. 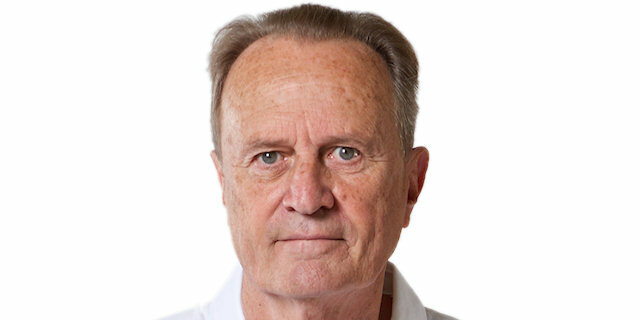 In spite of this, the minutes we played with high intensity decided the game."